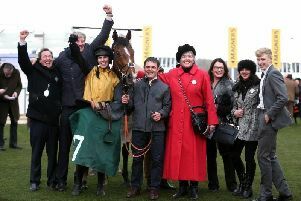 Diger Daudaie won the Abacus Decorators Lady Riders’ Handicap Hurdle at Uttoxeter. The six-year-old was ridden by Abbie McCain. And later in the day Forth Bridge finally got his head in front at Kempton at the 11th attempt. The six-year-old won the Matchbook Silver Bowl Handicap Chase in the hands of Nico de Boinville. 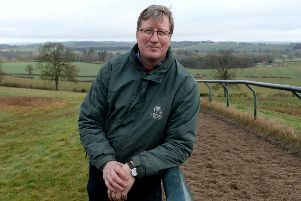 Longsdon said: “The horses have been running well in defeat but it is always good to be in the winner’s enclosure. I bought Diger Daudaie from the Tattersalls Ascot March sale and he has since won two races. He doesn’t carry any excess weight and has proved to be a hardy, tough horse.